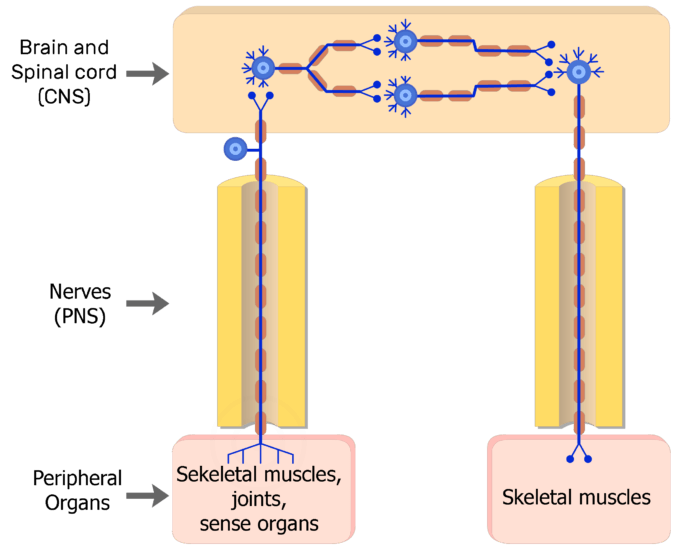 In nerves, somatic nervous system (Gr. 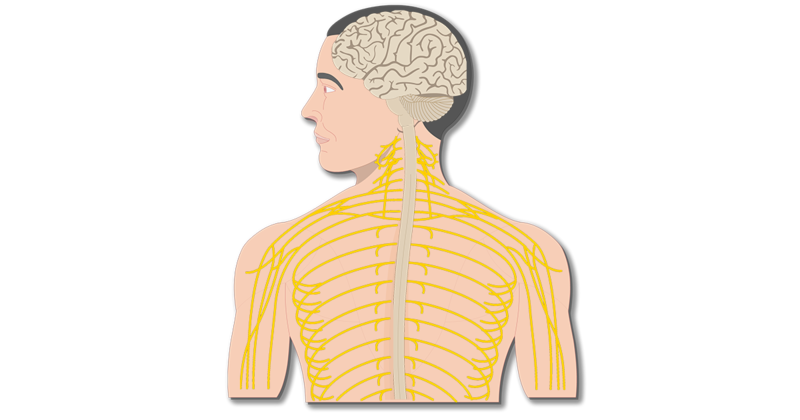 soma; body) axons carry signals that allow the central nervous system (CNS) to voluntarily or consciously monitor the external environment and regulate the body’s responses activities. 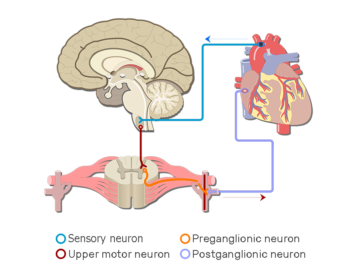 The process begins when somatic receptors detect changes in the external (surrounding) environmental. Somatic receptors are modified nerve cell endings located in the skeletal muscles, joints, and sense organs (eyes, ears, mouth, and nose). 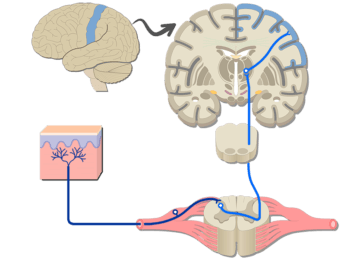 When stimulated, the somatic receptors generate electrochemical impulses or action potentials in the axons of somatic sensory neurons (afferent neurons). 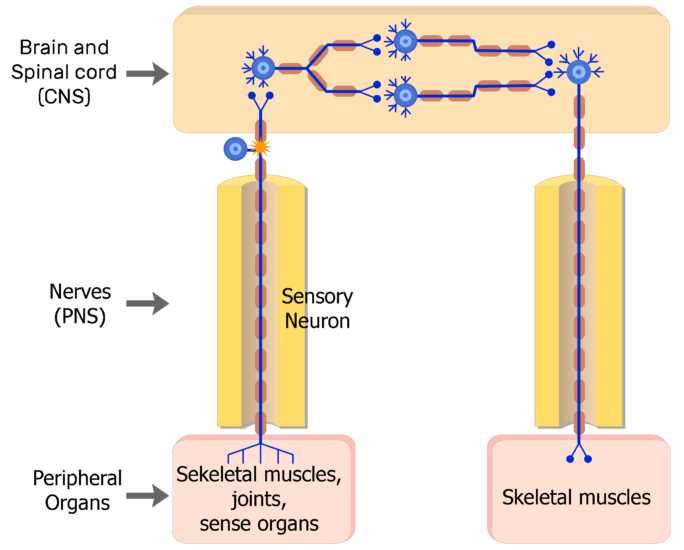 Each axon runs the length of a nerve and conducts signals directly into the CNS. 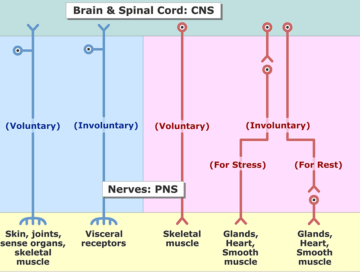 Somatic neurons supply the CNS with vital input information and their axons are typical enveloped by a series of Schwann cells. 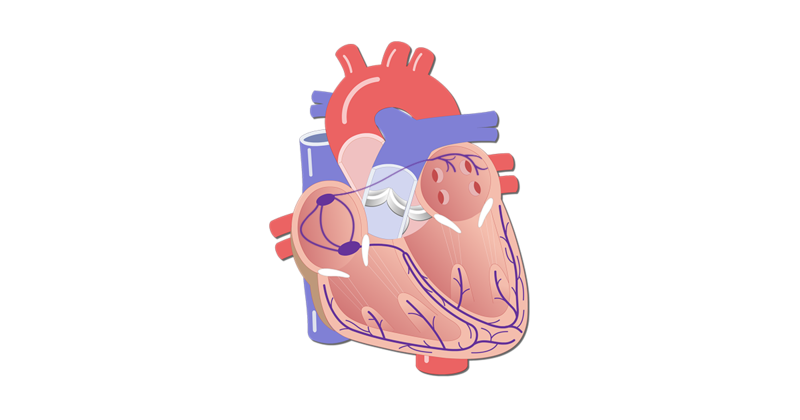 The rate of impulse conduction is increased by the structure and arrangement of these support cells. In the CNS, neurons called interneurons image, interpret, and integrate the input delivered by the sensory neurons (except for reflexes). Response activities are then planned and relayed to somatic motor neurons. The motor neurons (efferent neurons) conduct impulses out to the skeletal muscles (effectors), which produce required response movements. 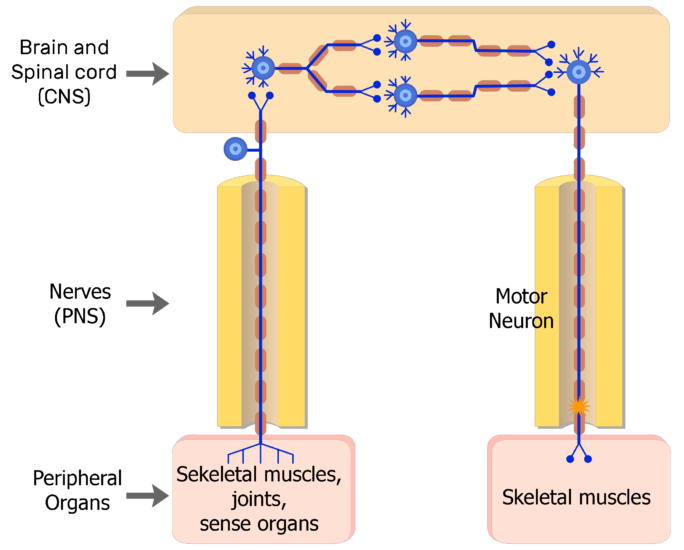 Somatic motor neurons are also covered by a series of Schwann cells because the muscle actions need to be coordinated and rapid.